Free estimates given for new installations in accordance with your plans or your specification. Free advice given to ensure you have an up to date system which meets your requirements. All installations connected and fully tested in liaison with your Plumbing & Heating Engineer. New programmers and thermostats installed on existing installations to keep your system running efficiently and problem free. Installer of Nest thermostats. Protect your business and your home with an adequate alarm system to provide detection and prevention. Smoke alarms, heat detectors and sprinklers installed and maintained. Emergency lighting also installed in public buildings. Heating mats can be installed under wood, concrete or tiles to give very satisfying warmth. As Dimplex agents we are able to give a very competitive price for night storage radiators, panel heaters and towel rails. 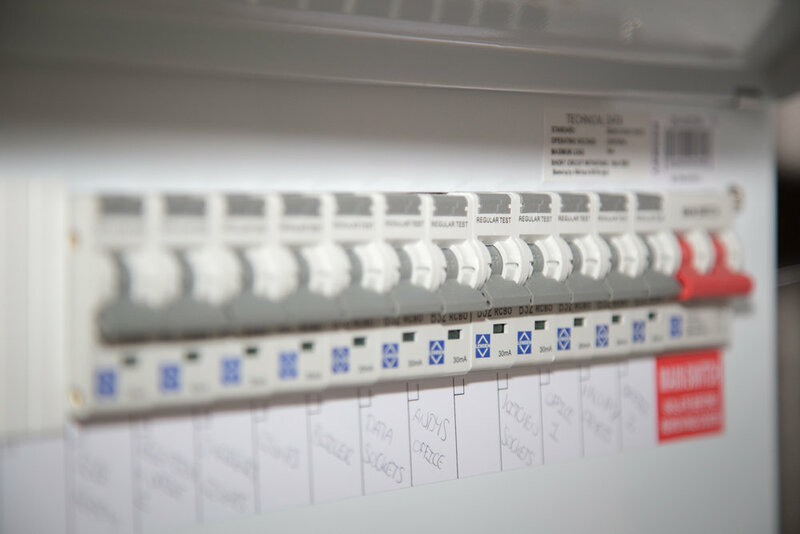 We can carry out PAT Testing in any establishment to make sure your appliances are safe and meet today’s regulations. Socket outlets and cabling installed for TV’s and computers.